Onglyza Lawsuit & Kombiglyze Lawsuit: Are you eligible? If you or a loved one suffer from Type II Diabetes, there’s a good chance you’ve taken or been marketed the drugs Onglyza or Kombiglyze XR. Between the years 2009 and 2014, over 250,000 Type II Diabetic patients used Onglyza. In April 2016, the FDA announced that these drugs increase the risk of heart failure. Individual lawsuits are being filed against the manufacturers of Onglyza and Kombiglyze XR due to the injuries individuals sustained while using these drugs. The dangerous side effects of these drugs have leveled damages to many families across the country which may include yours. The attorneys at Walton Telken are now taking on cases from families who believe they’ve suffered an unnecessary loss because of Onglyza or Kombiglyze XR. 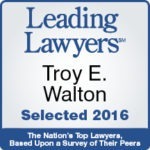 The attorneys at Walton Telken can help you file a strong Onglyza lawsuit today. Onglyza and Kombiglyze XR are essentially the same drug with one big exception. Kombiglyze XR contains an ingredient called metformin, which acts as an extended release agent for extra control over blood sugar — hence the XR (extended release). Onglyza and Kombiglyze XR are in a class of drug called DPP-4 (dipeptidyl peptidase IV) inhibitors — meaning they activate an enzyme called DPP-4. DPP-4 destroys a hormone called incretin, which causes the pancreas to produce more insulin. DPP-4 helps incretin stay in the body longer by promoting insulin release and lowering blood sugar levels. Essentially, Onglyza and Kombiglyze XR are insulin boosters for type II diabetes patients. After both drugs were approved in 2010 (Onglyza was first approved in 2009), they were an instant success on the type II diabetes drug market. In 2015 the drugs netted over $750 million in sales and could project to sell over $2.5 billion this year. The side effects of Onglyza and Kombiglyze XR run basically the same, but Kombiglyze XR can come with some extra gastrointestinal side effects because of the metformin and the fact it’s encouraged to be taken after meals. From the outset, the FDA had its reservations about both Onglyza and Kombiglyze XR even after they passed the original clinical trials. The FDA has added warnings to both drugs since their initial approvals. 2013: Increased risk of pancreatitis and pre-cancerous findings of the pancreas. 2015: May cause disabling and severe joint pain. 2016: Risk of heart failure. After one medical study of risks associated with Onglyza and Kombiglyze XR, an FDA Advisory Committee Member recommended the drug be pulled completely from the U.S. market. But the other 14 simply voted to add extra warnings, hence now the call for an Onglyza lawsuit has become louder than ever. Am I eligible for an Onglyza Lawsuit and Kombiglyze XR Lawsuit? The attorneys at Walton Telken strongly advise anyone who believes they qualify for an Onglyza lawsuit or a Kombiglyze lawsuit to call 1-844-307-7349 toll free for a free consultation. There are time limits to file a lawsuit, so if you believe you or a loved one has suffered undue loss because of Onglyza and Kombiglyze XR contact our team now.